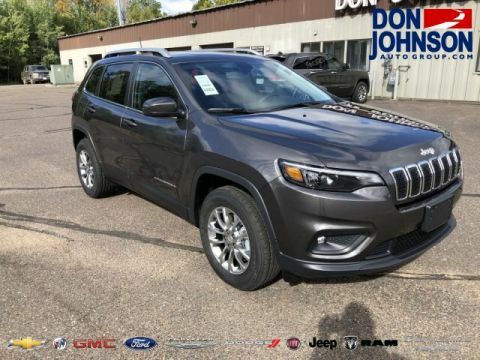 The 2018 Jeep Cherokee is primed for adventure and packed with top-tier features and amenities, but it’s the capacity that will first impress upon you just how well designed the new model is. 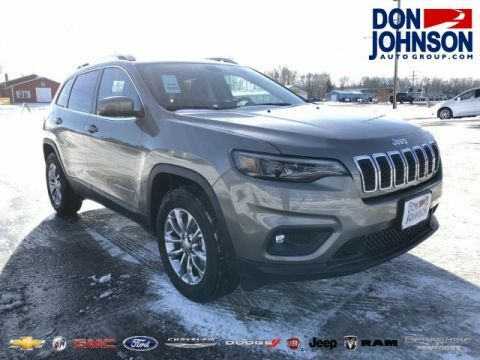 The exterior expresses the sleek athleticism of a modern Jeep Cherokee, and yet the interior feels impossibly generous in its dimensions. Smart seating lets you fit the interior around anything from weekly school-run to weekend exploration, and the Cargo Management System lets you customize your storage section with several accessories to please anyone from ardent off-roader to the family dog. 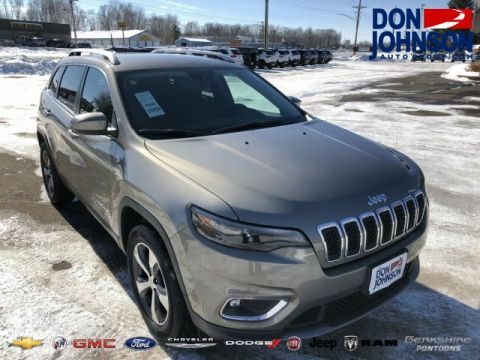 The 2018 Jeep Cherokee makes room for plenty of cargo by offering up to 54.9 cubic feet of cargo space behind the front seats. The Jeep Cargo Management System lets you customize the storage area with everything from first aid kit to pet kennel. As well as folding down for added cargo space, the rear seats recline for comfort and can be moved fore and aft. Pushing down the front-passenger seat lets you slot in cargo that reaches from the trunk right through to the windshield. 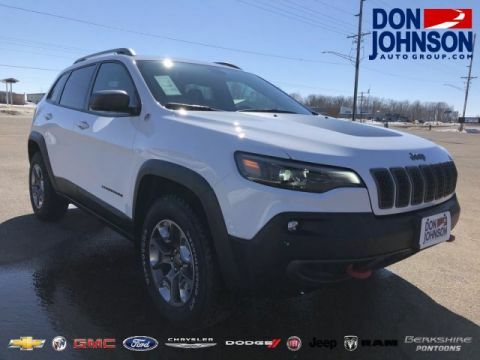 A modern crossover SUV needs to handle everyday driving just as expertly as it explores the great outdoors, and few vehicles walk that line was so well as the new Cherokee. Its outstanding capacity for adventure is aided by a cavernous interior that’s flexible enough to take up to five comfortably or accommodate only the driver with all other space given over to cargo. 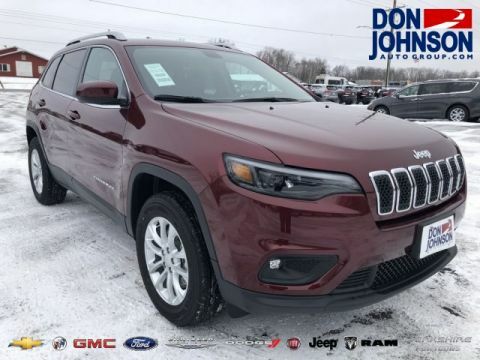 When life feels a little hectic, your new Jeep Cherokee is always at hand to make things easier, with an available power liftgate that opens at the push of a button. 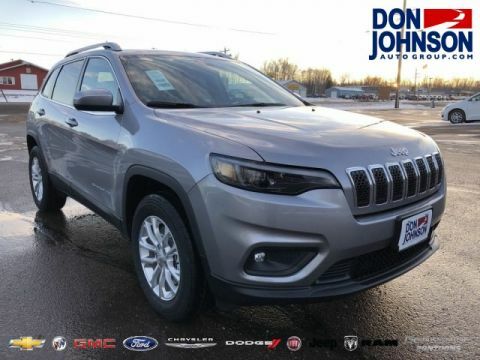 The interior itself hides plenty of handy storage areas, including one mounted right in the dash for your everyday items, but the cabin isn’t concerned solely with practicality. 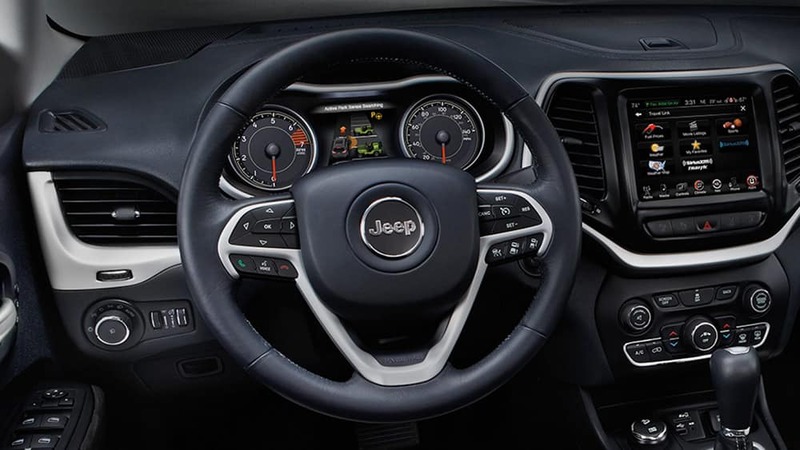 For a touch of luxury, the 2018 Jeep Cherokee offers a heated steering wheel, LED interior lighting, leather-trimmed bucket seats, and heated and ventilated front seats. 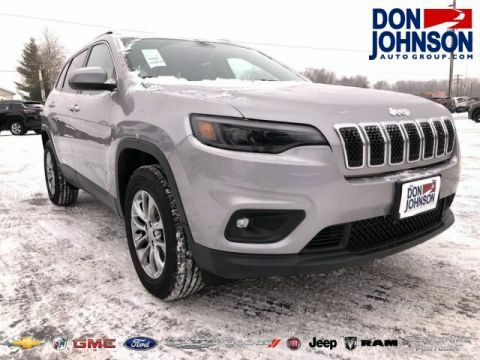 The 2018 Jeep Cherokee brings everything you could demand from an off-road-ready crossover SUV. 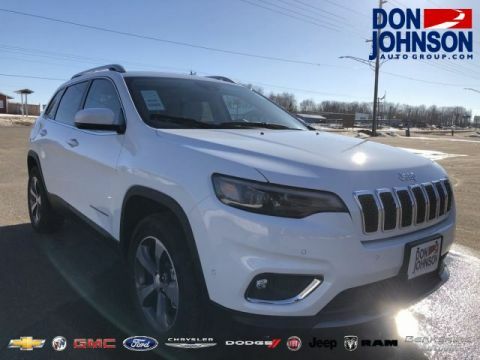 If you’d like to find out more or explore financing options, simply contact Don Johnson Motors or visit one of dealerships in Rice Lake, Hayward, or Cumberland, WI.